From biologically inspired robots to students’ start-up technology ventures, the depth and breadth of research being stimulated at Case Western Reserve University will be on full display in one location. Research ShowCASE 2017, a free public exhibit Friday, April 21, from 9 a.m.-3 p.m., in the Veale Convocation, Recreation and Athletic Center on the Case Western Reserve campus, offers more than 600 presentations from high school students, CWRU undergraduates, graduate students, post-docs, faculty members and staff, representing virtually every academic discipline and specialty. Nearly 850 undergraduates and about 300 graduate and professional students and faculty and staff members plan to present their research this year. This year’s presentation represents the 13th year of Research ShowCASE, which was held annually from 2003-10 and reinstated from 2013-17 after a two-year layoff. 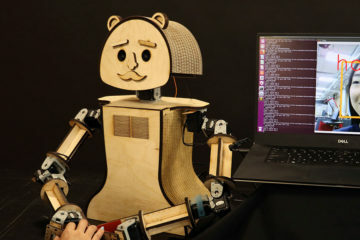 Exhibits of real-world applications, critical insights, and creative and intellectual activities will be on view for students, faculty, staff, alumni, business and industry leaders and the community, highlighting the full range of research at CWRU. 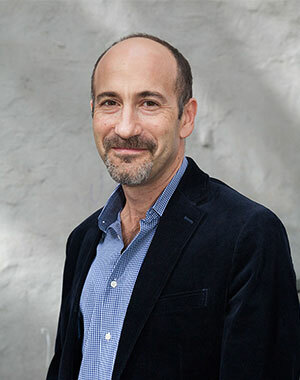 In addition, the event’s keynote speaker is Adam Marcus, co-founder of Retraction Watch and The Center for Scientific Integrity, which promote transparency and integrity in science and scientific publishing. He also is managing editor of Gastroenterology & Endoscopy News and teaches science writing at Johns Hopkins University. His articles have appeared in The New York Times, The Wall Street Journal, The Economist and other major publications. His important keynote message: How society will benefit from greater transparency in science and truth in reporting research results. Cleveland FES (Functional Electrical Stimulation) Center: A subject from the Cleveland FES Center will demonstrate Contralaterally Controlled Functional Electrical Stimulation (CCFES), technology that restores hand function in people who have a weak or paralyzed hand from neurological injury or damage, often caused by a stroke. The therapy activates the weak or paralyzed hand-extensor muscles using electrical current applied through electrodes placed on the forearm. Biologically inspired robots: Roger Quinn, the Arthur P. Armington Professor of Mechanical Engineering and director of Case Western Reserve’s Biologically Inspired Robotics Laboratory, will demonstrate animals as models for robot mobility and autonomy—in essence, robotic animals that crawl, walk, run, climb and fly. 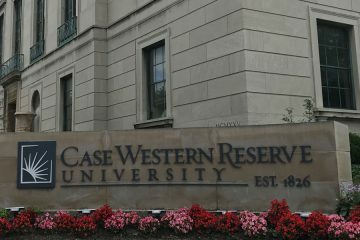 CWRU student entrepreneurs and their technology: Pavel Galchenko, a sophomore studying biochemistry and applied data science, who cofounded RVS Rubber Solutions, a startup developing a new way to separate and recycle the components of rubber tires that are now disposed of as waste products. Matt Campagna, a sophomore studying computer engineering and co-founder of Reflexion Interactive Technologies, which is developing a device that detects concussions in about 30 seconds. HoloAnatomy: an augmented-reality demonstration app for Microsoft HoloLens, which Case Western Reserve and Cleveland Clinic view as the future of medical anatomy education. HoloAnatomy, the first third-party HoloLens app to appear in the Microsoft store, offers a glimpse of the holographic anatomy curriculum that students will use when the two institutions open the Health Education Campus in the summer of 2019. This article was originally published April 19, 2017.